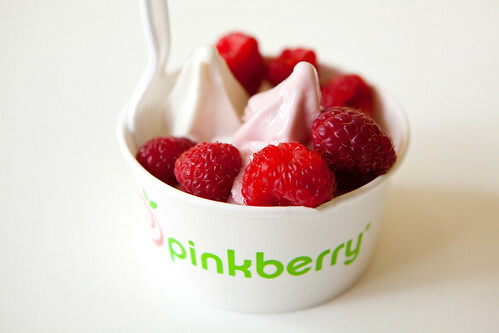 As most of us New Yorkers are aware of Pinkberry‘s signature frozen yogurt that has a distinct tartness and arguably started the trend of frozen yogurts springing up all over this city. 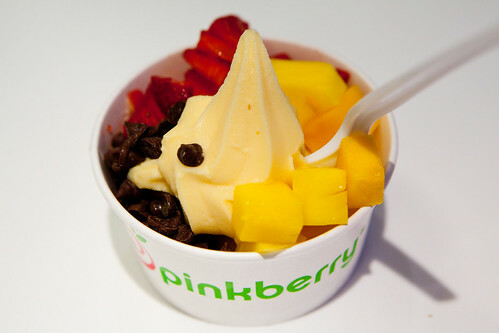 Recently, I had their mango frozen yogurt topped with fruits and chocolate chips, salted caramel frozen yogurt with chocolate covered pretzels, toffee, and strawberries, and pomegranate and coconut frozen yogurts with fresh raspberries. All were good in its own way. The most interesting was the salted caramel fro-yo with the chocolate pretzels as it reinforced the saltiness of the frozen treat. 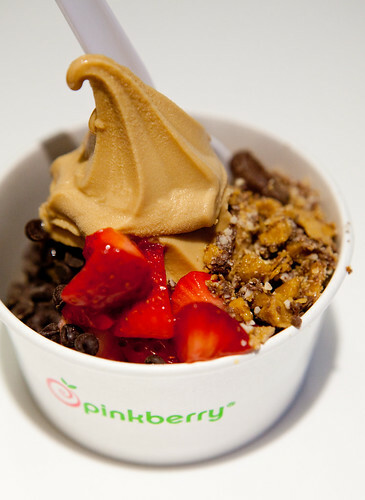 The slightly unexpected yet good thing to “discover” was their introduction of thick Greek-style yogurt topped with various fruits, granola, and even savory ingredients like olive oil, cucumber, tomato, basil, and balsamic vinegar. I had the cucumber, olive oil, and sunflower crisps ($5.45) as its delicately savory and I liked the crunchiness of the sunflower crisps. This makes for a great snack for those who prefer their yogurt a bit more warmer and possibly savory, if you choose those options.